Bill Tonkins, vineyard manager at Veritas Vineyards and Winery, Afton, has been named 2018 Grower of the Year by the Virginia Vineyards Association. Mr. Tonkins, who served a two-year term as VVA president ending in December 2012, was presented with the award at the association’s annual winter technical meeting by Bettina Ring, Secretary of Agriculture and Forestry for the Commonwealth of Virginia. 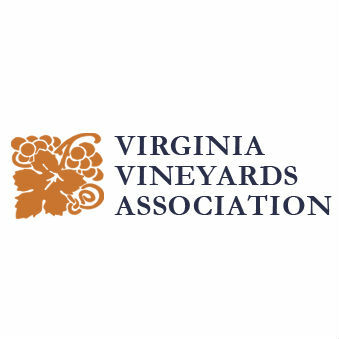 “Bill’s work in increasing the Veritas acreage fivefold is a fitting parallel to the dramatic growth of the Virginia wine industry in general,” Ms. Ring said. Mr. Tonkins moved to Afton in 2007 with his wife, Diane, after a long and successful career in the British Army, including deployments with the U.S. Army and assignments as a contractor for the U.S. Defense Logistics Agency. He has since overseen the growth of Veritas’s vineyards from 20 acres of vines to 100 acres. He is a gubernatorial appointee to the Virginia Wine Board. Following his term as VVA president, Mr. Tonkins continued to serve on the association’s board for four years in his capacity as immediate past president. In addition to the vineyards he manages for Veritas, Mr. Tonkins has his own vineyard of Petit Verdot, which he lovingly calls Aftonshire. He has a master’s degree in technology from the University of Manchester in England.